The Ottawa Booth Centre’s addiction services reduce barriers for people seeking addiction treatment. We welcome you to apply if you are: – on opiate replacement therapies (methadone and suboxone) – involved with the justice system, or have been, and are facing criminal charges. Read about our Stabilization and Anchorage residential programs in our Stabilization Brochure or Anchorage Brochure. 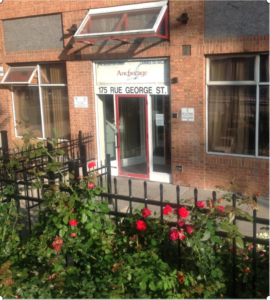 They are located in a shelter setting on George Street in Ottawa’s downtown core. For more about our medication policies at Stabilization and Anchorage click here. Stabilization is an abstinence-based residential program for men. It is located on the 4th floor of the Ottawa Booth Centre shelter. 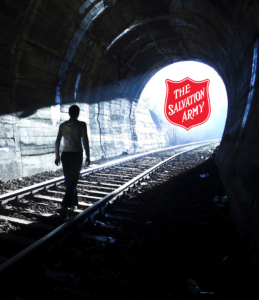 The program provides you with a safe and supportive environment to eliminate your addiction. Our goal is to help you explore options for change. We do that by combining individual counselling with daily group programming. We encourage you to set and pursue goals from the outset that are meaningful to you. Stabilization helps you work towards entering longer-term treatment programs. This includes the on-site four-month Anchorage Addiction Recovery Program (see below for more information). For additional information see our Stabilization Brochure. The Anchorage Addiction Recovery Program offers rehabilitation to men recovering from drug and alcohol addiction. Our goal is to assist you in achieving an addiction-free lifestyle. The Anchorage program is abstinence-based. It involves group therapy sessions daily. The program is designed to help you identify and work through core issues related to your drug or alcohol use. The Program supports you in developing individual recovery goals. When you complete the Anchorage program you may pursue either independent or transitional housing. When you first arrive at Anchorage, you will share space with other residents in a dorm room. Towards the end of treatment, residents may work towards having their own individual rooms. See our Anchorage Brochure for more information about the program. If there isn’t space for you right away you will be added to our wait list. If so, you are asked to stay in touch with us until a bed opens up. Incarcerated men are also welcome to apply. If so, you may apply personally or with the help of a family member or legal representative(s). Note that you will require a GAIN Q3 assessment to attend Anchorage after you complete your time in Stabilization. Our staff are available from Monday to Friday, 8:00 AM to 4:30 PM to answer your questions about the program or the application process. *Note that as of January 1, 2019, no electronic devices will be permitted in our programs.